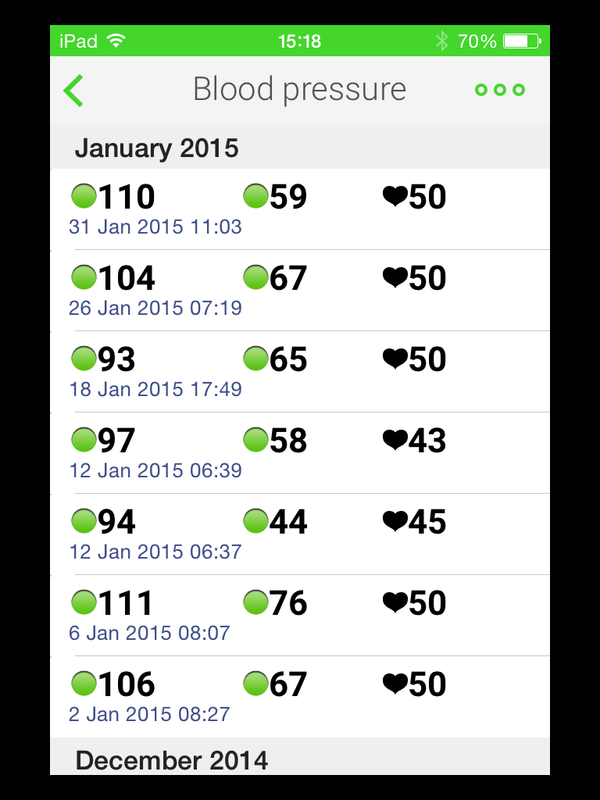 Here are my totals for my training, health and fitness in January 2015. I’ve got most of them below, from GARMIN connect http://connect.garmin.com/reports and some from my nike fuel band and from Withings too. With a slow start (the first 6 days, rest days to help me try n get over a cough, eeeek) and 16 days rest out of 31, I still managed an alight mileage (64 miles including today’s long run, 1st Feb). 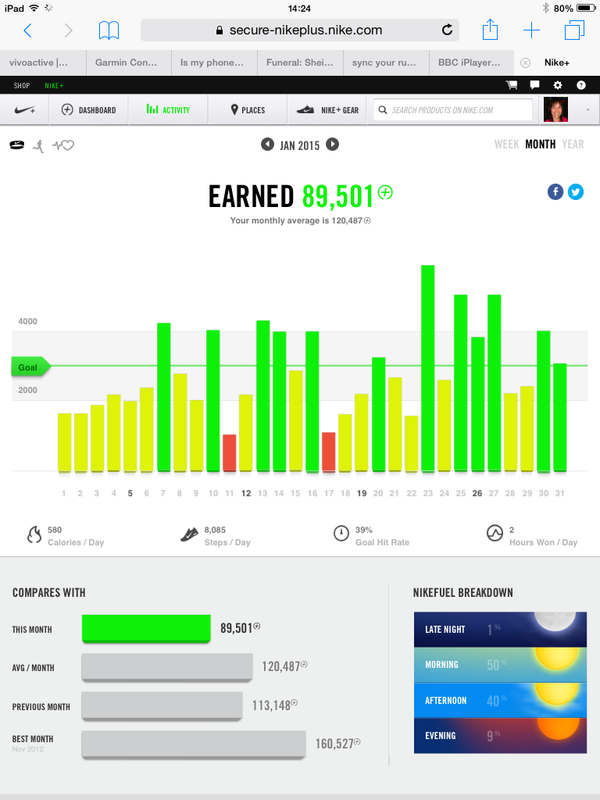 In January, ran 11 times – 54 miles, and did quite a few walks and did 4 strength training sessions (1 a week). I’ve been slowly building my running back up, if I add on my 10 miles today into last week, it’ll be 10 miles run in the first week, then 13, 16.5 and 25 miles run as the weeks went on. I’ve done three speed work runs, and feel like I’ve got a good balance between running, strength training and rest. (I still didn’t get a swim in, oops, the thought of it is too much to make me venture into the pool). 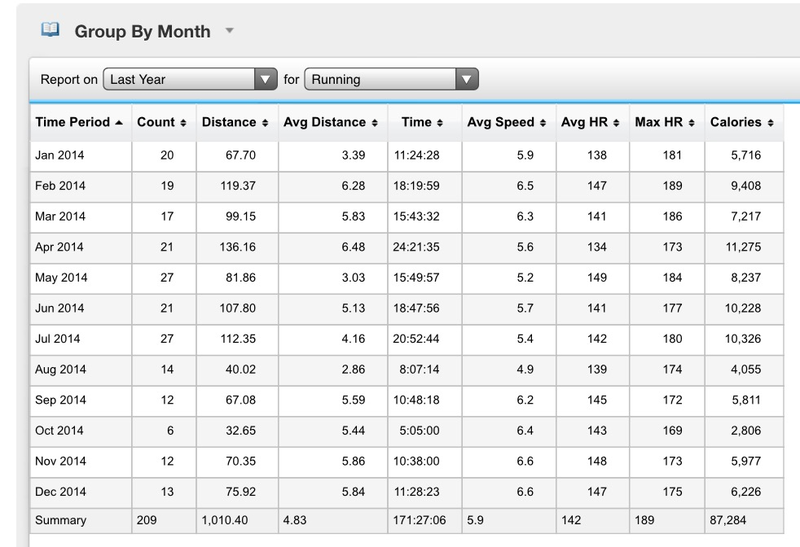 This month last year (2014) I’d run a lot more often, but only ran a bit more distance, 67 miles. 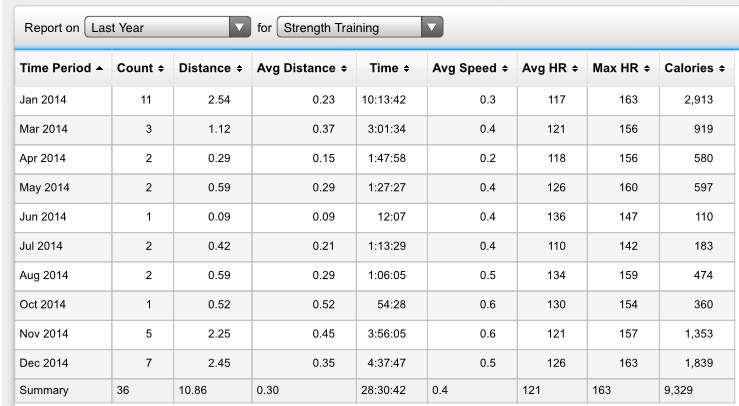 I was doing a lot more coaching then (hence the lower HR and more frequent runs). And in February last year, my mileage increased a lot, I’ll see what happens this February, but training for our half marathon in March this year should help. I’ve done 4 strength training sessions this January, using The Gym most weekends, and one or two sessions in the house. (Last January I was doing around 3 strength training sessions a week). I’ll still keep my 1-2 strength sessions a week up, to compliment my running (see my strength training numbers above from last year). 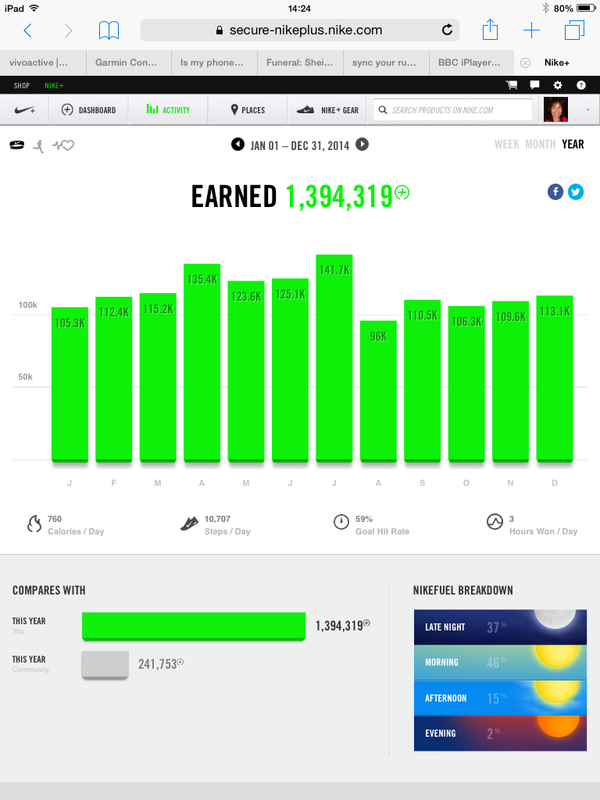 Now here’s where we see my activity via my Nike Fuel points. I frustratingly made myself rest for the first 6 days in January, then built up slowly. But it was worth it and I’ve slowly built back into health and training. The 16 days rest are clear, I only met my fuel points goal 12 days (usually run days). One weekend we rested fully because of the snow, and other rest days were taken when I was either ill or in need of rest after regular activity. My total fuel points for January 2015 (90k) was lower than any month in 2014 and one thing that was different is that I earned hardly any points in the late night (ie early morning runs) and a lot more in the afternoon (lunchtime runs). I think I only did about 1 early morning run in January! Damn darkness (and coldness and ice!). 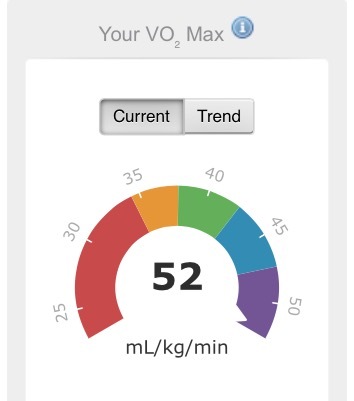 The third measure here is my vo2 Max estimate (how well I use oxygen), which I’m glad to say has gone back up to 52. Still good for my age, but 3 points lower than when I was at my fittest in May 2014 (marathon). 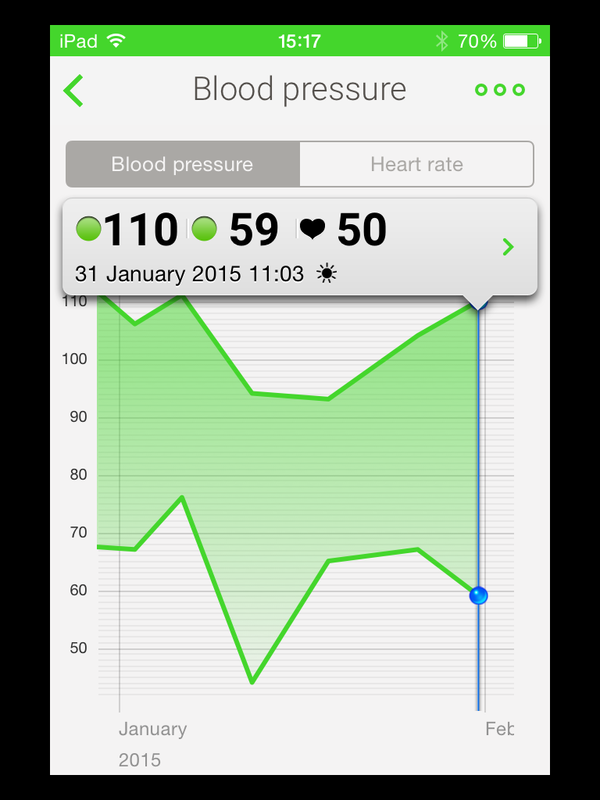 At the end of the month my BP was 110/59, so ok (where 120/80 is ideal). 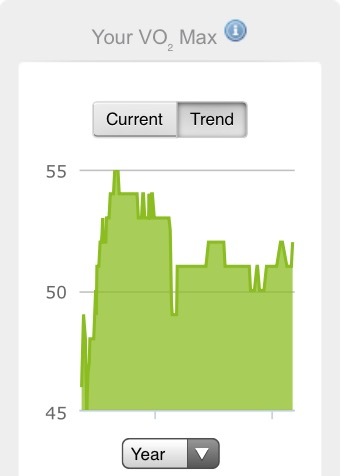 My measure is still ok and not deemed as low, but it was mid way through the month – 94/44. My resting HR has hovered around 50 (or below) throughout the month. 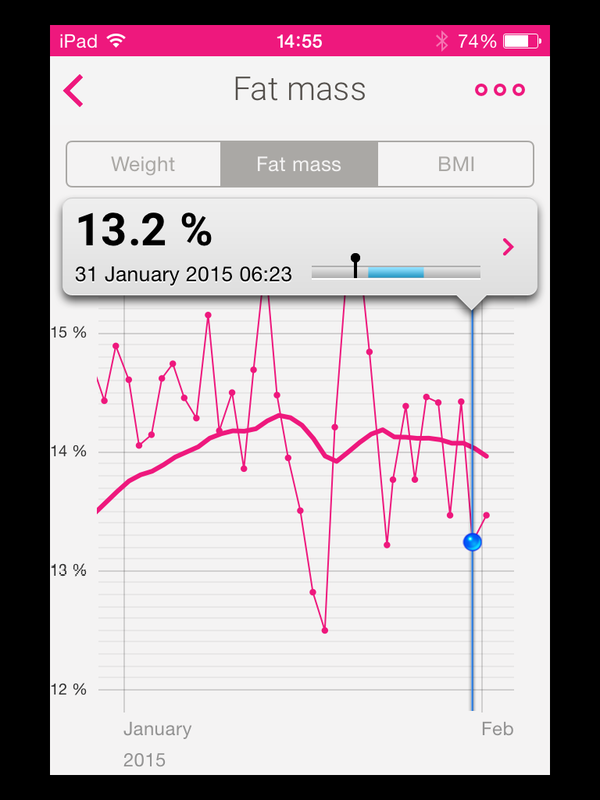 My body fat hasn’t moved all that much, but it is down -1.4% at the end of the month, compared to at the start. 14.6% of 130.3lbs is 19lbs. 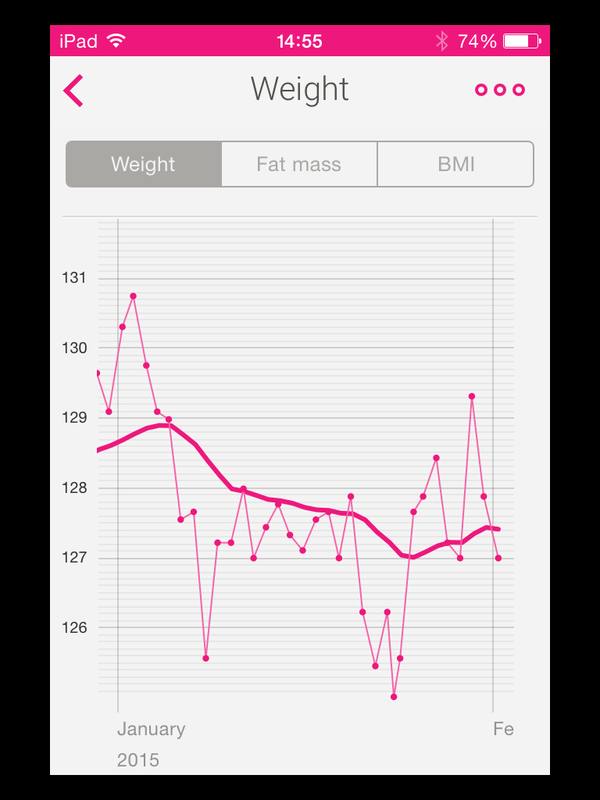 And here’s it at the end of the month, 13.2% of 127.4lbs is 16.8lbs of body fat. I was at my heaviest at the start of the month, and here’s my lightest (16.5lbs of body fat) on the 23rd Jan.
A blood test early on at the docs ruled out any thing untoward, and hopefully I can push the on and off illnesses from August 2014 away and maintain my health instead. 🙂 Fingers crossed 2015 continues well for me. Now let’s see if I can do this type of summary every month!